If you know your neighbor and wonder if they need watering help, just ask! Vice versa, if you will be out during these hot days and want some support watering, please ask a neighbor, notify the leads team (at bradnergardenspark@gmail.com) or post on the Bradner Facebook Page (https://www.facebook.com/pages/Bradner-Gardens-Park/133389150019496?fref=ts). 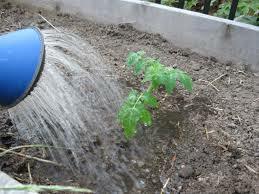 However, since some crops NEED drought or dry soil to thrive, please don’t water another p-patch without discussion first – your friendly good will gesture may actually be detrimental to someone else’s gardening plans. A good rule of thumb with everything related to the p-patch – ask and good communication! Next Next post: Join us Saturday, June 13th for the June Work Party!